I had been wanting to do laser hair removal for the longest time but it is out of my budget. It can cost thousands for laser hair removal treatments which is where Tria Beauty comes in. 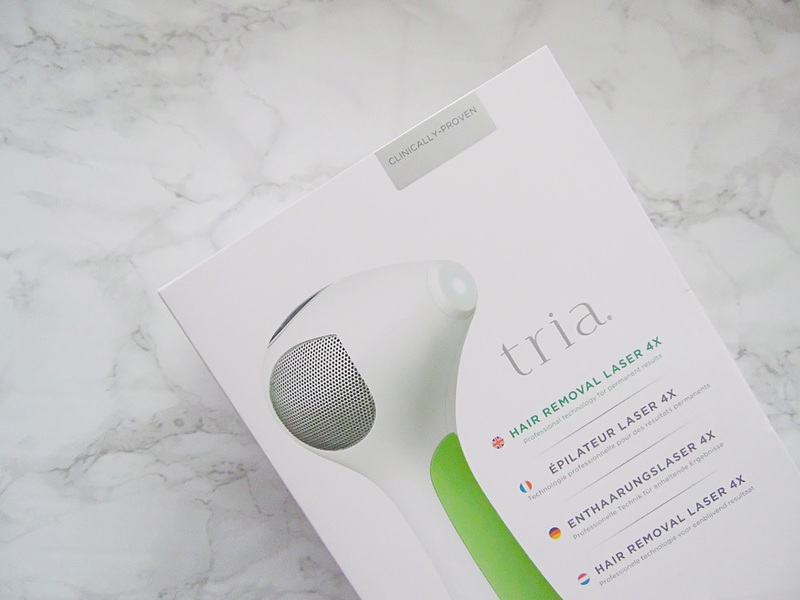 Tria Beauty have a Hair Removal Laser device which will give you the results of those expensive treatments all in the comfort of your own home at a fraction of the price. Over the next couple of months I am going to put this device to the test to let you know if it really works and if it is worth investing in, I will be doing a 6 week update as well as a 3 month update so keep an eye out for those! I am going to share my first impressions of the device today and just a few things I have noticed so far but the indept review will be in the three month update. This device is the Hair Removal Laser 4x which retails for around £400 and while this is very inexpensive, if it does work it would definitely be worth the investment if you are considering laser hair removal as it can save you a lot of money. This claims to be the only clinically proven cordless laser available for home use. It uses the same laser technology preferred by dermatologists to target and permanently disable the hair follicle for permanent, long lasting, results. The device is so easy to use as it has a small screen and button for you to be able to adjust the treatment level, I would recommend starting on one and working your way up to find the setting that is most comfortable for you. Also on the display it will show you how many pulses you have done within that one treatment. Using the device is so easy and I am so pleased that it is cordless and it has around 30 minutes of battery life which is enough to treat a larger area such as the lower leg. It is important to read through all of the instructions when you receive your device to make sure that it is suitable for your skin and that you use it correctly. 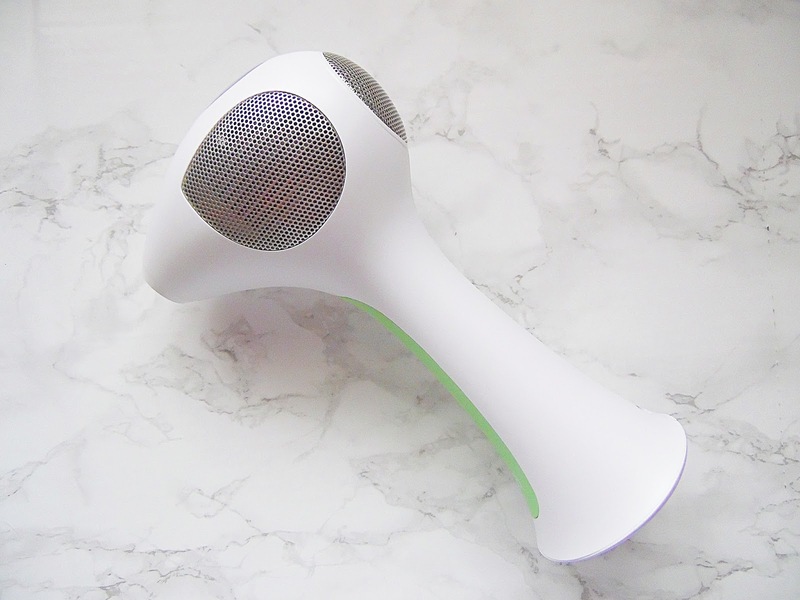 A couple of important things to note about the application is that you will need to use this once every two weeks to freshly shaven parts of the skin, if you wax or pluck the areas then the device is not advisable as there would be no hair follicle inside. First impressions of this device from using it a couple of times is that you do need to set aside some time to do this, especially in larger areas. I have been using this and watching some Gilmore Girls on Netflix to make the time pass a little quicker. 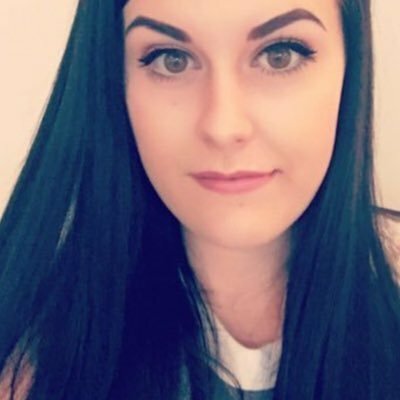 I haven't experienced any pain so far from using the device, I am up to level 2 as I am slowly building up to the highest level. I will talk about the results in my next update as it is a little too early for me to tell at this point!